Bentley has expanded the available engine lineup for its Continental GT model. The car used to ship exclusively with a 6.0-liter W12 engine rated at 635 hp (474 kW) and 900 Nm (664 lbft) of torque, but you may now order it with a 4.0-liter twin-turbo V8 instead. The new engine is technically the same as the one used by the Bentley Bentayga SUV, and is available with the more affordable trim versions of the Continental GT coupe/convertible. The new V8 produces up to 550 horsepower (410 kilowatts) and 770 Newton-meters (568 pound-feet) of torque in the two-door grand tourer. The numbers are therefore identical to those quoted for the Bentayga SUV. The V8-powered Continental GT Coupe sprints 0-100 km/h in four seconds flat, which is 0.3s behind its W12 counterpart. It also tops out at 318 km/h (198 mph), rather than the 333 km/h (207 mph) of the W12 version. As for the GT Convertible, it attains the same top speed as the coupe, but takes 4.1s to get going at 100 km/h (62 mph). One major advantage of the new engine is its greater fuel efficiency. The company claims the V8 Continental GT can cover up to 800 kilometers (500 miles) once full, a superb result for a Grand Tourismo vehicle. On the outside, you can tell the V8 model by its quad tailpipes, the corresponding model badges, and new 20-inch wheels. 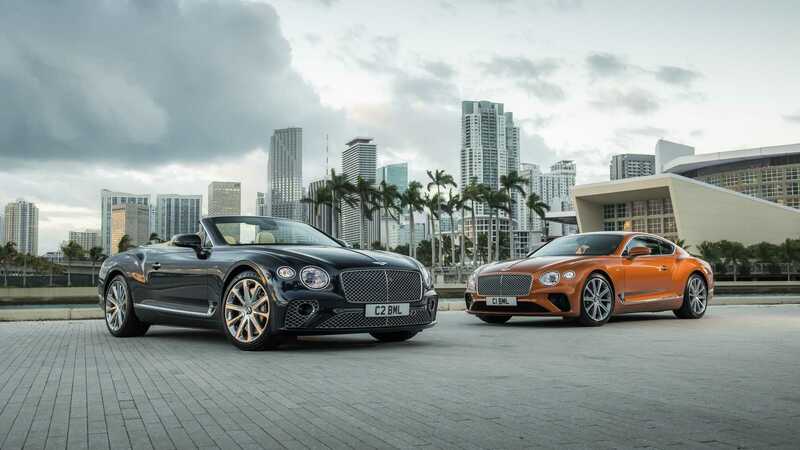 Bentley says it will announce the prices later. North American customers will be able to buy the new GT starting from the third quarter of 2019, while the rest of the world will have to wait until 2020.